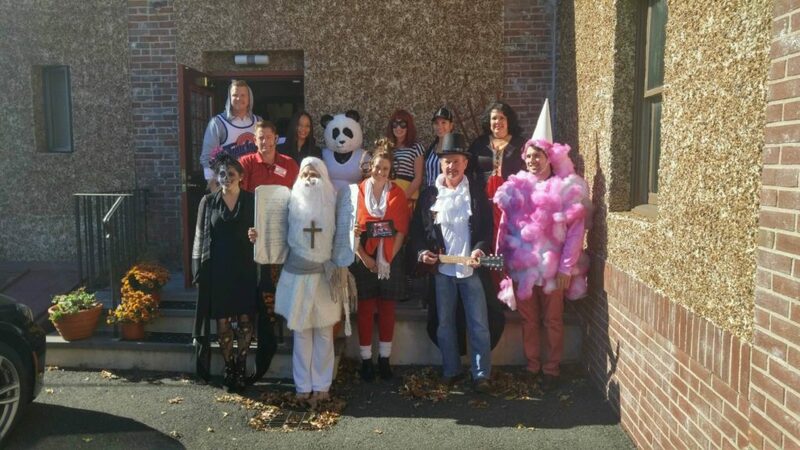 Tom True’s favorite holiday, Halloween, is widely celebrated at True & Associates. It is a fun day filled with candy, food and laughter. Congratulations Eloise (Insurance Moses) for winning the costume contest and 1/2 PTO day! 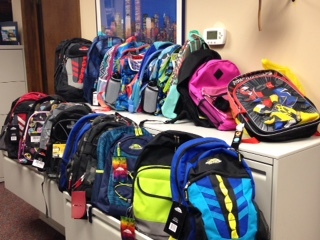 Organized by Susan Lojo, this donation of backpacks stocked with supplies will allow a few local children to start school with all the ingredients to begin learning! This giving is part of T&A’s Sunshine Club which raffles off gift baskets monthly to raise money for local charities. Thank you Susan! 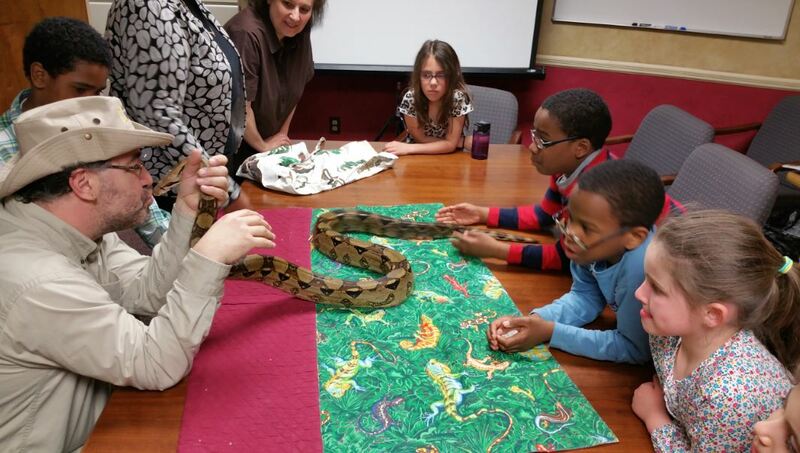 Acorn Montessori and the Somerset Patriots! 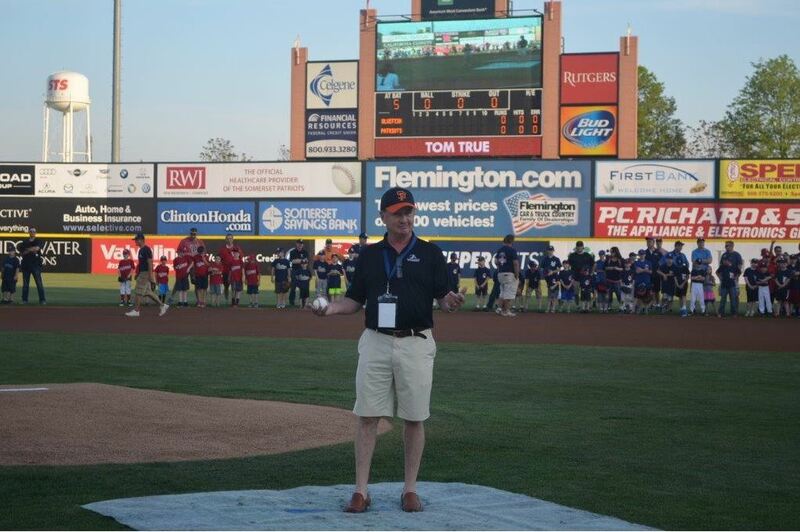 Tom True, President/CEO, getting ready to throw out the first pitch at the Somerset Patriots’ game Friday, May 8, 2015 against the Bridgeport Bluefish. Tom is a Board Member of the Acorn Montessori School in Lebanon who attended the game and sang “God Bless America”, Past Board Member of North Hunterdon Youth Baseball attending the game in the background and a current Member of the Somerset Patriots National Advisory Board. Yes, he threw a perfect strike! Take Your Children to Work Day! The Lizard Man captivates a few of the nearly dozen children that took control of the office on Friday. More mothers ran away from the kissable snake than their kids! Overall, it was an amazingly fun day at the office for all involved. Congratulations to our own Pati Metter on receiving the Five Star Home/Auto Insurance Professional Award!!! Pati is in the top 1% of over 38,000 nominees in the country. 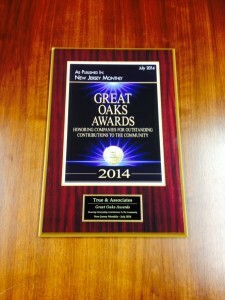 Read more about the award here: http://goo.gl/mZjm2q and call Pati for a laugh or the best Personal Insurance service in the business. 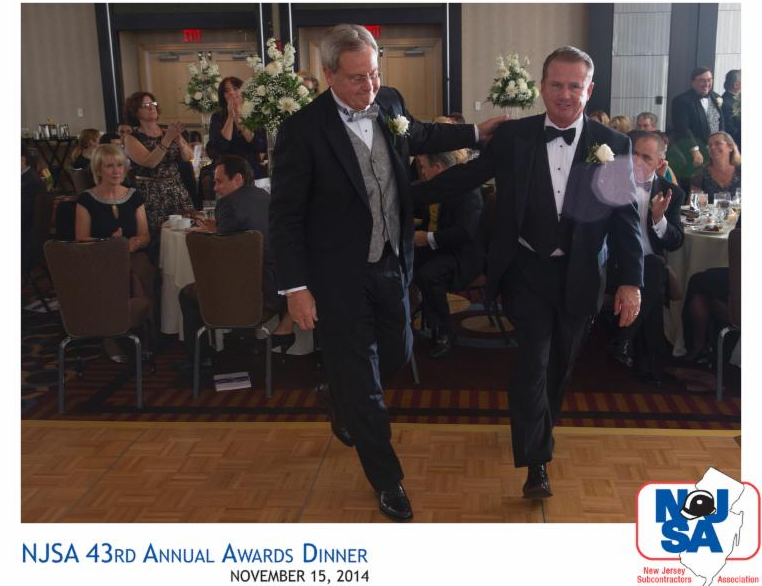 President and CEO Tom True and Executive Vice President Bill Dougherty approaching the podium to receive The New Jersey Subcontractors “Associate Member of the Year Award.” This award has only been given three times before in The Association’s forty two year history. Erin Doheny-True, Vice President and Dennis Cronin, Project Director for EII, Inc. inspecting a Sub Station Upgrade in Scotch Plains, NJ. 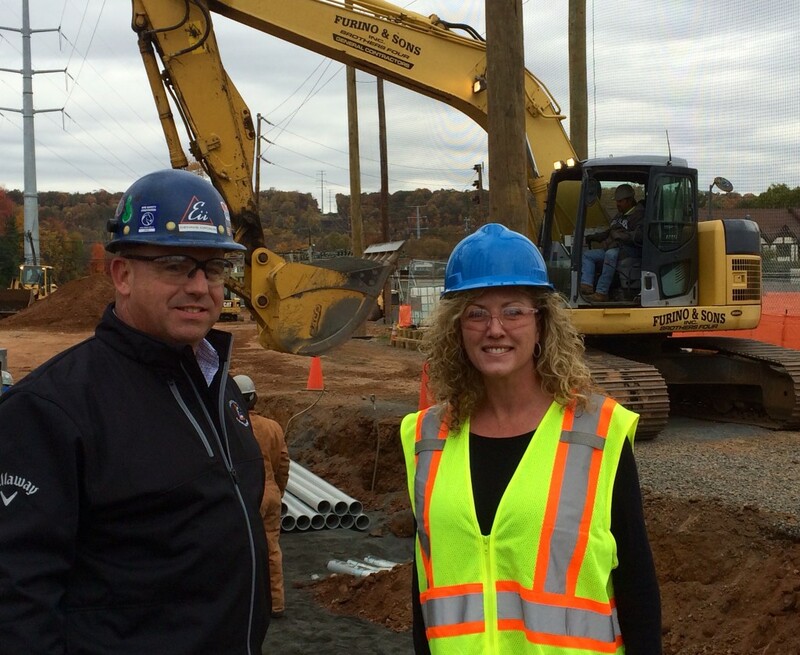 Safety is a top priority at EII driven by Bob Sagendorf, Corporate Safety Director. EII’s 2015 New Jersey Workers Compensation Experience Modifier is one of the lowest in the State at .299. EII’s motto is “Safety First” and this is a culture True & Associates endorses, supports and assists in developing with all of their clients. 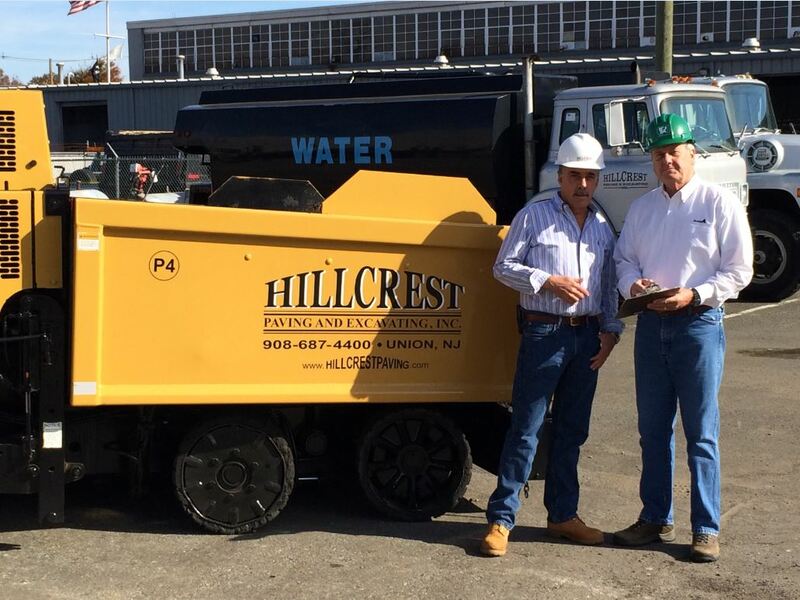 Jerry Giordano, President Hillcrest Paving and Excavating, and Bill Dougherty, Executive Vice President of True & Associates confer on safety and insurance specifications for a recent project. 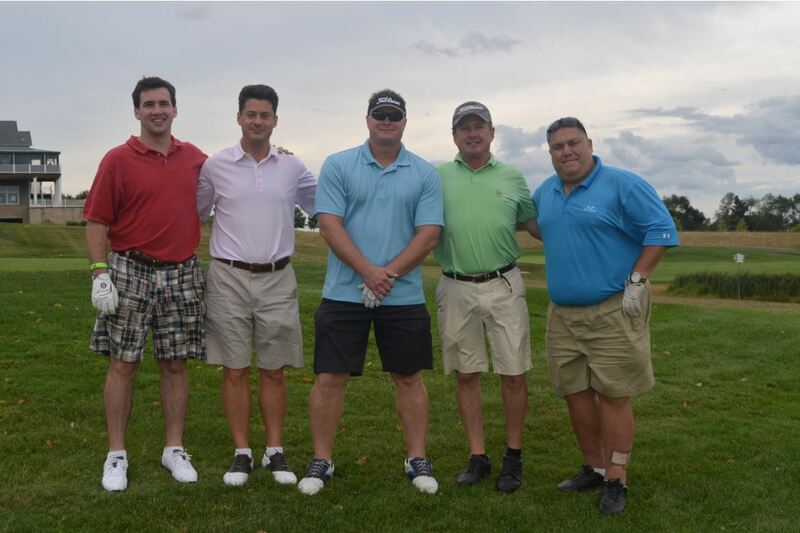 True & Associates participated in the Somerset Patriots 15th Annual Golf Classic that was held on September 8th, 2014 at Neshanic Valley Golf Course. 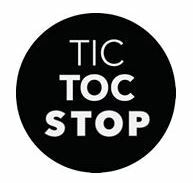 The money raised in this tournament will benefit Craig Carton’s Tic Toc Stop Foundation dedicated to finding a cure for Tourette syndrome. The celebrity in the middle is former Yankee left fielder, Shane Spencer, who contributed to the Bronx Bombers winning the World Series in 1998, 1999 and 2000. 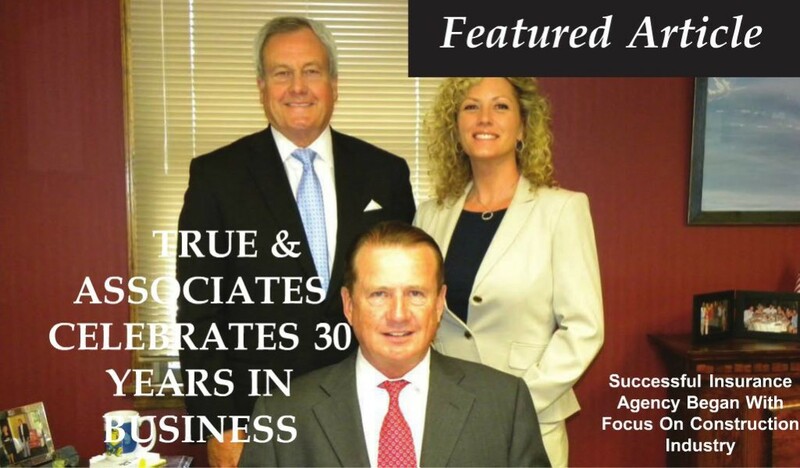 True & Associates has been featured in the “Utility and Transportation Contractors” August 2014 magazine for celebrating 30 years in business. 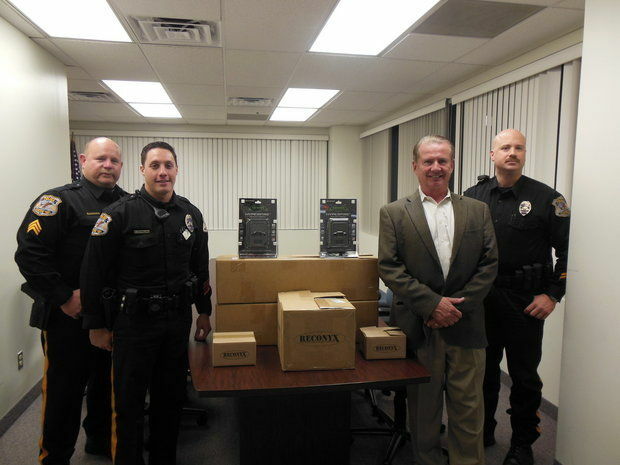 (http://abv8.me/45o) The UTCA has 1,100 members in the State consisting of contractors who build New Jersey’s infrastructure. 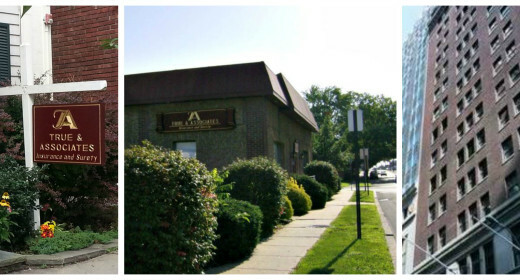 True & Associates has been a member of UTCA for 25 years and provides insurance, surety, benefits and safety consultation for many of its members. Tom True, President/CEO, and a dozen of his staff will be attending the UTCA’s annual convention at the Tropicana from September 18 to 21. 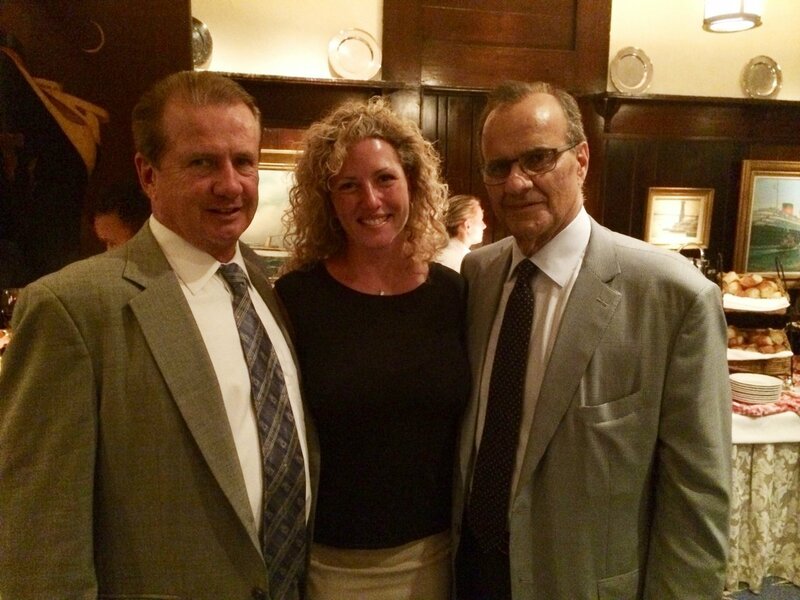 On 9-10-14 Tom and Erin True attending a dinner at NYC’s 21 Club honoring Joe Torre’s induction into Baseball’s Hall of Fame. The event included Joe Torre promoting his “Safe at Home” Foundation which True & Associates has supported for the past seven years and will be again attending a Gala at Chelsea Piers on 11-13-14. 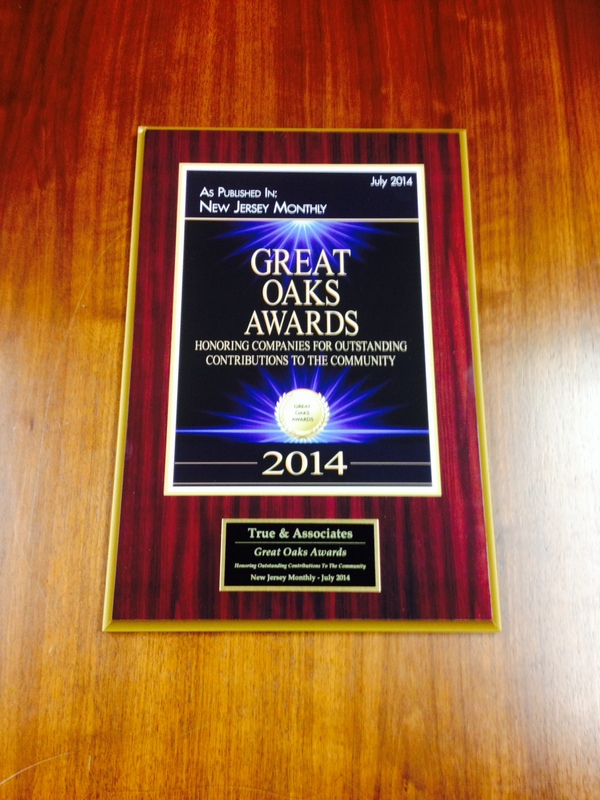 True & Associates has been honored by “New Jersey Monthly” for their charitable contributions and have received The Great Oak Award. 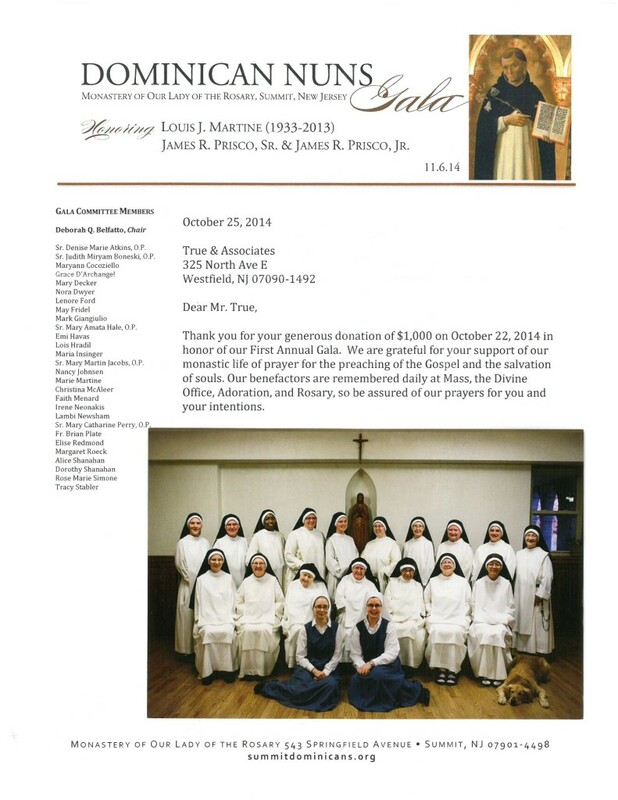 We are very proud to receive this Award and will continue to support those charities and foundations that make a difference in New Jersey states Tom True, the President/CEO of True & Associates. Tom True On The Links! 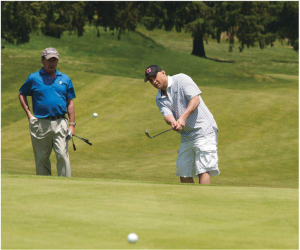 President Tom True playing as a guest and friend of Steve and Josh Kalafer at the Yankee Pinstripe Bowl Charity Golf Outing, May 20th. The celebrity golfing partner, Craig Carton, attempting to put his ball inside Tom’s on number 7 at Forsgate. Didn’t happen! Coincidentally, Tom worked in Continental’s National Accounts Division with Boomer’s Dad, Norm Esiason, before founding his agency. The NJSA Associate Member of the Year Award is presented to firms who have been recognized for their high degree of integrity, professionalism, quality of work, and their commitment to advancing the benefit of the overall industry above and beyond their own self-interest.